Rarely seen variant of the model J2883 with upholstered seat and back with original patinated black leather. Produced by master cabinetmaker A.J. Iversen in Brazilian rosewood. 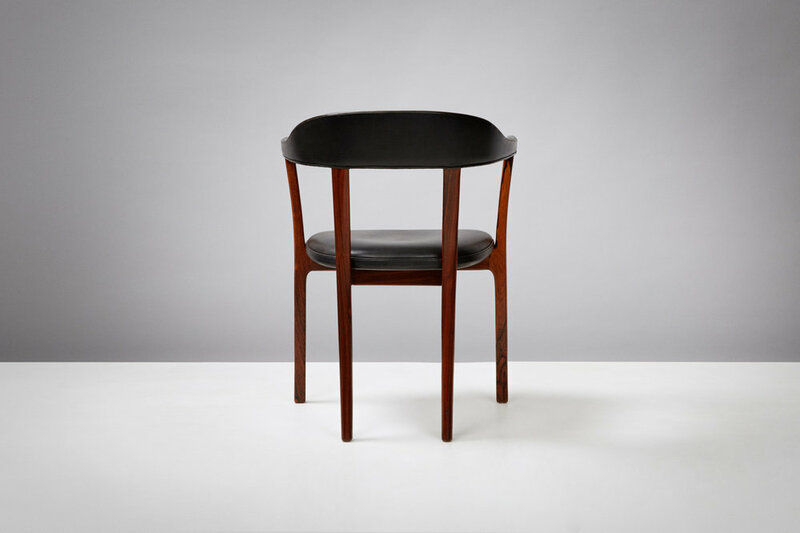 First presented at the Copenhagen Cabinetmakers' Guild, 1958.